Beautiful! Just how I like to start the week! the simplicity of the palette and the compliments of natural wood are just beautiful! happy new week! Loving that coffee table in the first pic ~ so organic! Wow these are both amazing spaces! 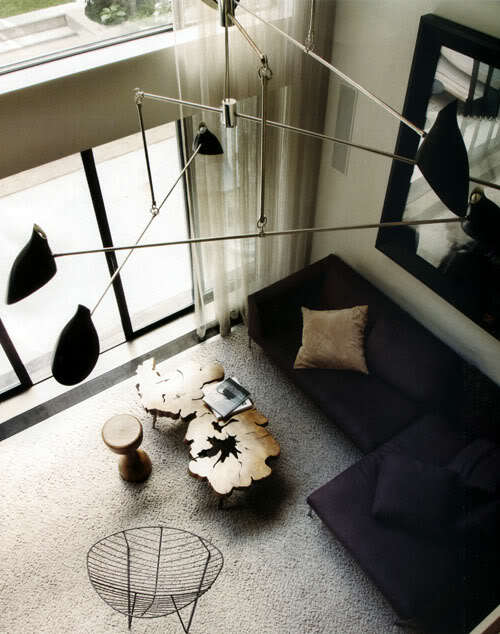 That coffee table and chandelier in the first photo are incredible! Happy New year to you and a wonderful week!!! The coffee table in the first photo is so interestingly beautiful. Beautiful space, I love that wood table! Hope you are having a good new year so far Chantal!